When reading through the Book of Mormon, one finds references to many different parts of the Old Testament. When discussing Melchizedek in Alma 13, for example, the Book of Mormon appears to allude to the Joseph Smith Translation of Genesis 14. Yet it also frequently quotes Isaiah and the Psalms, and even includes a bit of Job. All of these were presumably quoted from the plates of brass. This poses the question: What parts of the Old Testament were on the plates of brass? Nephi said that the plates of brass contained “the five books of Moses” along with a “record of the Jews … and also the prophecies of the holy prophets, from the beginning, even down to the commencement of the reign of Zedekiah.” The collection even contained “many prophecies which have been spoken by the mouth of Jeremiah” (1 Nephi 5:11–13). 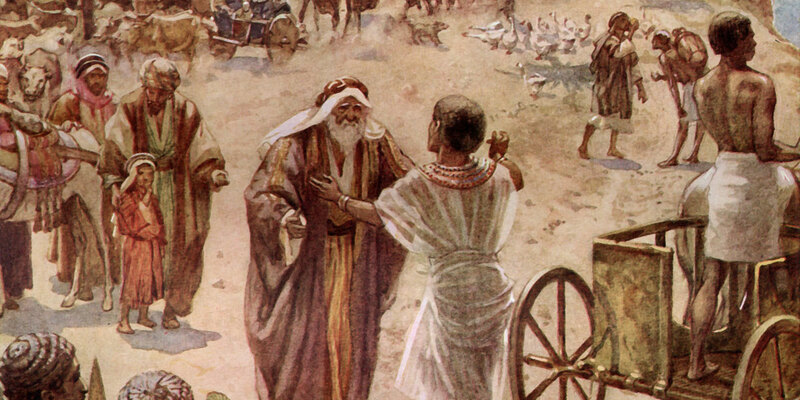 The “five books of Moses” refers to Genesis, Exodus, Leviticus, Numbers, and Deuteronomy. The “record of the Jews” was likely Joshua, Judges, 1–2 Samuel, and 1–2 Kings. The “holy prophets” down to the time of Zedekiah may refer to the writings of Isaiah, Hosea, Amos, Micah, Nahum, Habakkuk, and Zephaniah, as well as Jeremiah. However, this is not the only information the Book of Mormon gives about the plates of brass. 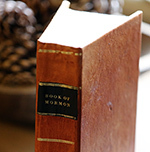 The Book of Mormon also quotes extensively from the Psalms and periodically refers to Proverbs, suggesting that these books were present as well. Yet, when one looks at all the Old Testament quotations in the Book of Mormon, one finds something surprising. Books that were almost certainly written after Lehi left Jerusalem, like 1 Chronicles, Nehemiah, Job, Ecclesiastes, Ezekiel, Joel, and Malachi, all have language similar to the Book of Mormon. Some of this similar language may be due to translation issues. Translations of ancient texts often use biblical language, even when this language creates a less literal translation from the original. However, some allusions to the Old Testament are only clear when comparing the Book of Mormon to the Old Testament in Hebrew, suggesting something more complicated. In these instances, it is likely that both the Book of Mormon and the biblical texts written after Lehi’s family left Jerusalem are quoting earlier books that were on the plates of brass but that no longer exist. This possibility is supported by the angel’s statement to Nephi, that the Old Testament contains “many of the prophecies of the holy prophets; and it is a record like unto the engravings which are upon the plates of brass, save there are not so many” (1 Nephi 13:23). This suggests that there were many other books found in the plates of brass that did not make it into our current Old Testament. Some of these texts may have been quoted by later writers, explaining the similarities one sometimes finds between the later books of the Old Testament, and writings presumably being quoted from the plates of brass. The writings of Zenos, Zenock, Neum, and Ezias (Helaman 8:20) were all on the plates of brass but are now lost. It is likely that some of these lost texts were northern Israelite texts. According to 1 Nephi 5:14, the brass plates contained the genealogy of the descendants of Joseph. Because the tribes of Joseph lived in the northern Israelite kingdom, called Israel, not the southern Israelite kingdom, called Judah, it is likely that the plates of brass had many northern Israelite texts in them. Even though we have some idea of the books in the plates of brass, it is hard to know exactly what version of each book the Nephites had. The plates of brass sometimes appear to have been the same as the Joseph Smith Translation, as noted above. At other times, they are more like the Septuagint (the Greek Old Testament), and yet at other times they differ from any version of the text currently available. Often, when we read the Old Testament, it is easy to forget that these books were also Nephite scripture. When Nephite authors talked about holding fast to the “word of God” (1 Nephi 15:24), it was their portion of the Old Testament that they were referring to. It was the Old Testament that they turned to for comfort and guidance. Many of their most profound spiritual insights drew from Old Testament teachings. Realizing how important the plates of brass were to the Nephites can change our perspective on the value of the Old Testament. If the Nephites gained such important spiritual insights from the book, we can too. As we carefully search the books that would have been in the plates of brass, we can look at how they were quoted in the Book of Mormon, and gain deeper insight into what these scriptures can mean for us. Reading the Old Testament this way will allow us to understand both the Book of Mormon and the Old Testament better. The Book of Mormon is the key that unlocks the Old Testament. By understanding the Old Testament through the lens of the Book of Mormon, we can gain deeper insights into Christ’s power in our lives and the unchanging nature of God. Robert L. Millet, “The Influence of the Brass Plates on the Teachings of Nephi​,” in Second Nephi, The Doctrinal Structure, ed. Monte S. Nyman and Charles D. Tate Jr., Book of Mormon Symposium Series, Volume 3 (Provo, UT: Religious Studies Center, Brigham Young University, 1989), 99–111. Sidney B. Sperry, “Some Problems of Interest Relating to the Brass Plates,” Journal of Book of Mormon Studies 4, no. 1 (1995): 185–191. Rex C. Reeve, Jr., “The Book of Mormon Plates,” in Second Nephi, The Doctrinal Structure, ed. Monte S. Nyman and Charles D. Tate Jr., Book of Mormon Symposium Series, Volume 3 (Provo, UT: Religious Studies Center, Brigham Young University, 1989), 99–111. See John W. Welch, “The Melchizedek Material in Alma 13:13–19,” in By Study and Also by Faith, 2 vols., ed. John M. Lundquist and Stephen D. Ricks (Salt Lake City and Provo, Utah: Deseret Book and FARMS, 1990), 2:238–272. For more on this, see Book of Mormon Central, “Why Does Jacob Quote So Much from the Psalms? (Jacob 1:7; cf. Psalm 95:8),” KnoWhy 62 (March 25, 2016). For an example of this, see Book of Mormon Central, “How Did Enos Liken the Scriptures to His Own Life? (Enos 1:27),” KnoWhy 265 (January 23, 2017). For a classic treatment of the plates of brass, see Sidney B. Sperry, “Some Problems of Interest Relating to the Brass Plates,” Journal of Book of Mormon Studies 4, no. 1 (1995): 185–191. One sometimes sees quotations from and allusions to various parts of the five books of Moses in the Book of Mormon. 2 Nephi 26:11 alludes to Genesis 6:3, Abinadi quotes the Ten Commandments from Exodus 20 in Mosiah 13, Mosiah 23:15 alludes to Leviticus 19:18, Alma 33:21 references Numbers 21:4–9, and 2 Nephi 25:29 alludes to Deuteronomy 6:5. Joshua 24:15 is quoted in Alma 30:8, Judges 15:14 is quoted in 1 Nephi 7:18, 1 Samuel 8:11–18 is alluded to in Mosiah 2:12–14, 2 Samuel 2:19–21 is alluded to in Alma 56:37–40, and 1 Kings 19:12 is quoted in 1 Nephi 17:45. For the relationship between Helaman and 2 Kings, see Book of Mormon Central, “How Did Nephi Use the Power to Seal on Earth and in Heaven? (Helaman 11:4)” KnoWhy 182 (September 7, 2016). Large sections of Isaiah appear throughout the Book of Mormon, Hosea 13:14 is alluded to in Mosiah 16:7–8, Moroni 7:32 quotes the Greek version of Amos 5:12, and Christ quoted Micah 5:8–9, and 4:12–13 in 3 Nephi 20:15–20 without introduction, suggesting that they already knew about the passage. Nahum, Habakkuk, and Zephaniah do not appear to be quoted in the Book of Mormon, but they were likely included in the plates of brass, as most scholars agree that these books were written before 600 BC. Jeremiah 17:5 is quoted in 2 Nephi 4:34. For more on when these Old Testament books were written, see Mordechai Cogan, “Into Exile: From the Assyrian Conquest of Israel to the Fall of Babylon,” in The Oxford History of the Biblical World, ed. Michael D. Coogan (New York, NY: Oxford University Press, 1998), 243. For more on the Psalms in the Book of Mormon, see Book of Mormon Central, “Why Does Jacob Quote So Much from the Psalms? (Jacob 1:7),” KnoWhy 62 (March 25, 2016); Book of Mormon Central, “Why Does Nephi Quote a Temple Psalm While Commenting on Isaiah? (2 Nephi 25:16),” KnoWhy 51 (March 10, 2016); Book of Mormon Central, “Why Did Ammon Borrow So Much from Tradition in Alma 26? (Alma 26:8),” KnoWhy 133 (June 30, 2016); Book of Mormon Central, “Why Did Lehi Quote from a Psalm of Repentance in His Dream? (1 Nephi 8:8),” KnoWhy 325 (June 12, 2017); John Hilton III, “Old Testament Psalms in the Book of Mormon,” in Ascending the Mountain of the Lord: Temple, Praise, and Worship in the Old Testament (2013 Sperry Symposium), ed. Jeffrey R. Chadwick, Matthew J. Grey, and David Rolph Seely (Salt Lake City and Provo, UT: Deseret Book and Religious Studies Center, Brigham Young University, 2013), 291–311. For an example of the use of Proverbs in the Book of Mormon, see Book of Mormon Central, “What Does it Really Mean to be Blessed For Keeping the Commandments? (Mosiah 2:41),” KnoWhy 367 (September 26, 2017). For a more general look at its use, see Book of Mormon Central, “Why Did Nephi Work So Hard to Preserve the Wisdom He Had Received? (1 Nephi 6:5–6),” KnoWhy 262 (January 16, 2017). See James L. Kugel, How to Read the Bible: A Guide to Scripture, Then and Now (New York, NY: Free Press, 2007), 636–638. Ecclesiastes was written sometime after 333 BC, see Leonard J. Greenspoon, “Between Alexandria and Antioch: Jews and Judaism in the Hellenistic Period,” in The Oxford History of the Biblical World, ed. Michael D. Coogan (New York, NY: Oxford University Press, 1998), 349. See Richard D. Nelson, Historical Roots of the Old Testament (1200–63 BCE) (Atlanta, GA: SBL Press, 2014), 216. See Kugel, How to Read the Bible, 633. A text quoted in 1 Chronicles 25:5 is alluded to in Alma 1:26, a text quoted in Nehemiah 4:14 is alluded to in Alma 46:12, a text quoted in Job 33:26 is alluded to in Enos 1:27, a text quoted in Ecclesiastes 8:15 is alluded to in 2 Nephi 28:7, a text quoted in Ezekiel 36:31 is quoted repeatedly in the Book of Mormon, beginning in 1 Nephi 1:15 (although this is more obvious in Hebrew), a text quoted in Joel 2:30 is quoted in 1 Nephi 22:18, and texts quoted in Malachi 4:1–2 are alluded to in 1 Nephi 22:15. For one amusing example of this, see John W. Welch, “Approaching New Approaches,” Review of Books on the Book of Mormon 6, no. 1 (1994): 176. Mosiah 3:5, for example, quotes Job 4:19, but this is really only apparent in Hebrew. See Robert L. Millet, “The Plates of Brass,” Ensign, January 1988, online at lds.org. See John W. Welch and J. Gregory Welch, Charting the Book of Mormon: Visual Aids for Personal Study and Teaching (Provo, UT: FARMS, 1999), chart 14. See Millet, “The Plates of Brass,” online at lds.org. Grant R. Hardy and Robert E. Parsons, “Book of Mormon Plates and Records” in Encyclopedia of Mormonism, 4 vols., ed. Daniel H. Ludlow (New York, NY: Macmillan, 1992), 1:198. Moroni 7:32 quotes the Greek version of Amos 5:12, for example. Alma 46:24 may be an allusion to something in Genesis that was available to the Nephites, but is no longer in our scriptures. See Robert L. Millet, “The Influence of the Brass Plates on the Teachings of Nephi​,” in Second Nephi, The Doctrinal Structure, Book of Mormon Symposium Series, Volume 3, ed. Monte S. Nyman and Charles D. Tate Jr. (Provo, UT: Religious Studies Center, Brigham Young University, 1989), 99–111. For more on how the plates of brass fit into the wider context of Nephite plates, see Rex C. Reeve, Jr., “The Book of Mormon Plates,” in Second Nephi, The Doctrinal Structure, 99–111.